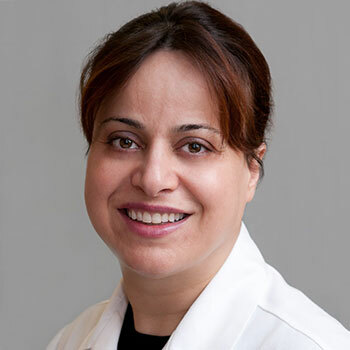 Dr. Zahra Hosseini received her undergraduate degrees in cellular biology and molecular biology from the University of Washington in Seattle. She received the prestigious Health Professional Scholarship from the US Navy, and graduated with her Doctorate of Dental Medicine from Tufts School of Dental Medicine in Boston. Dr. Hosseini served for more than three years as a dental officer* in Camp Lejeune, NC, and served thousands of deploying marines for their dental health. *Zahra Hosseini, D05, was sworn in as a lieutenant in the U.S. Navy Dental Corps May 14 on board the USS Constitution, berthed in the Charlestown Naval Yard. Rear Admiral Peter Andrus performed the swearing in. In attendance for the event in support of Hosseini were Robert Goode, Tufts professor and chair of oral and maxillofacial pathology and a retired Air Force colonel; John Blust, administrative coordinator for academic services at the dental school, RMC, U.S. Navy (ret. ); and Jared Geller, D07, an ensign in the Navy. Dr. Hosseini completed her residency in advanced education in general dentistry (AEGD). She completed active duty in 2008, at which time she moved to Bergen County with her husband and young son. She is an active member of the American Dental Association, Academy of General Dentistry, and Bergen County Dental Society. Dr. Hosseini and her team believe that excellence in dentistry begins with a careful diagnosis and treatment plan to establish the goals they will achieve together. Communication and long-term relationships are important to us. Let us know what is on your mind and ask questions. We will help you realize that an investment in yourself pays dividends for a lifetime. We are caring, skilled professionals, and dedicated to simplifying what is often a very complicated and confusing area of health care. We want all our patients to be informed and knowledgeable about their dental health care, from treatment plans and services to insurance coverage.